When you're not cuddled up inside one of our cozy Idyllwild cabins, you should be out adventuring! Want to tour the beautiful state of California on a bike or on your own two legs? Plan your road cycling vacation to the luscious mountain top town of Idyllwild where we are known for our challenging road cycling opportunities. From mountain biking, road biking, hiking and everything in between, your adventurous Idyllwild experience will be filled with joy and reward. At the heart of this Californian cycling and hiking mecca are many different choices of trails! 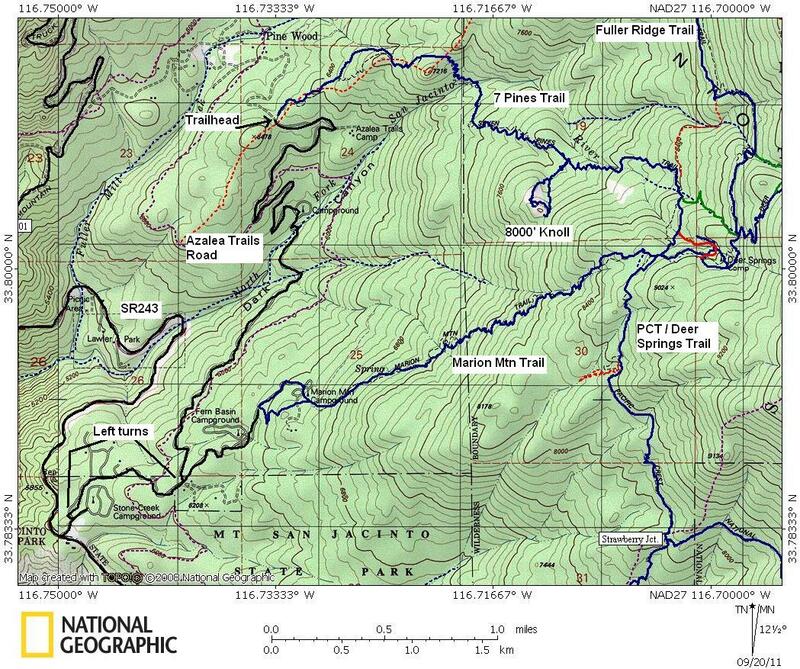 Route descriptions, directions, and everything you need to know to explore the these varying trails are listed below. This trail is also known as the Control Rode. It offers countless options to choose from and miles of fun. At the beginning of the path you will be offered a choice. You can either go up and right or straight and right. With the "up" path you will endure a challenging steep road which is also known as "The Heavens". If you decide to go straight you will embark on an excellent journey where you will finish in Pine Cove. If "right" just isn't for you and you decide to stay left when approaching other forks you will end up back at where you started. The Coyote Run is a great ride for novice and expert bikers alike. This ride begins at the Hurkey Creek county campground and is wonderful is you'd like to experience gorgeous mountain landscape. During winter or spring ride your way to the dazzling waterfalls on Hurkey creek and cool off. Since this is one of the easier trails on the list, Coyote Run fun for the whole family. Whichever level biker you are, Fobes Ranch road offers a spot for you! Beginning at Lake Hemet in Garner Valley, this trail is the quintessential ride. Scattered with various inclines throughout this trail will be rewarding and worthwhile! Beautiful Hurkey Creek Park, located off of Hwy 74 in the San Jacinto Mountains just 4 miles southeast of Mountain Center, is the perfect locale for reconnecting with nature. This idyllic getaway boasts a seasonal creek, majestic pine trees, awe-inspiring mountain views, and all the charms and tranquility of a classic woodland recreation area. Step back from your day-to-day and enjoy an outing to one of Riverside County Park and Open-Space District’s park locations. 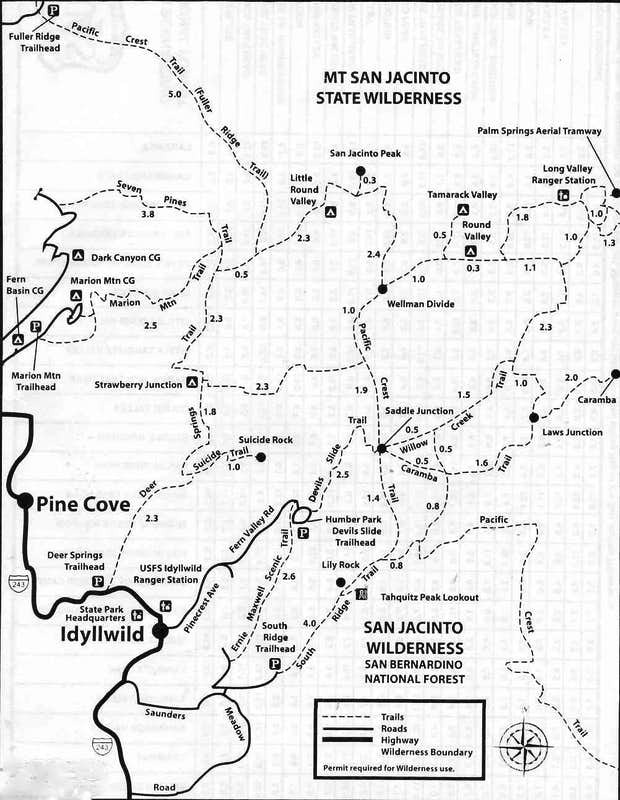 There are several miles of hiking, biking and equestrian trails at many of the County’s park sites. Experience the beauty of natural creeks, seasonal vernal pools, overgrown foliage and mountains that envelop the Inland Empire. If you're looking for scenery on your ride then look no further. May Valley offers you incredible views of the Garner Mountain side of Idyllwild as you ride. Beginning with a concise uphill jaunt then promptly turning to a downhill ride this trail will keep it short and sweet. The Ramona Trail is spectacular for several reasons. The views of Garner Valley, Desert Divide, and the San Jacintos are phenomenal. There is rarely any traffic on this trail or the road that takes you to the top of Thomas Mountain, so you and your dogs are free to scamper, and you are able to travel through four distinct climate zones in 2300 feet of elevation. This trail is evenly graded all the way to the top and shaded from the sun for the last 3 miles of the climb. This is a lovely, relatively easy, but very vertical hike through the lush wonders of the San Jacintos. You will enjoy every minute. Suicide Rock is a wonderful place to look over the entire valley. The sights of the San Jacinto Wilderness are breathtaking! From the top you are able to get a clear view of Strawberry Valley at Lily Rock and Tahquitz Peak, and you can take in the heights looking up at Marion Mountain and Jean Peak. If you're looking for something more moderate, Devil's Slide is for you. This five mile trail even offers the chance to see wildlife but is only accessible from June until October. Bring your pup or horse along for this one because they are welcome! The Idyllwild Nature center is a wonderful family friendly museum and trail system. The Nature Center offers the perfect beginner trails. Younger kids, and people with medical issues can thoroughly enjoy the flat looped nature trail. If you're more of a daredevil, the hillside and steep trails are for you. Engulf yourself in nature, sit on a bench and ponder, or even check out the museum with plenty of critters! Though it is lightly traveled, the Seven Pines Trail climbs through the spectacular forests, creeks, and rock formations. It is longer but less steep than most nearby trails. This path is the definition of "take the scenic route" where you can escape into the quiet solitude. Travel through Oak, Chinquapin, Chaparral, and eventually a Pine forest. Enjoy stunning views all the way to the top where a fire lookout is located. Once at the lookout you can view the valley from every direction. The trail begins with a few twists and turns, then flattens out until the last mile which becomes steep. Take your time on this short one which runs about six miles round trip. Bring your sunblock, hat, and hiking sticks because this trail is a long one that runs at about 13 miles roundtrip and 2,400 feet of elevation gain. While it may be long, it is steady and one that anyone should be able to conquer. Experience a transition from Desert Flora to Pine forest. Luckily this trail is located on the north side of the mountain and is mostly shady the entire trip.